I am so happy to be writing about this because it’s a very familiar brand in my household. 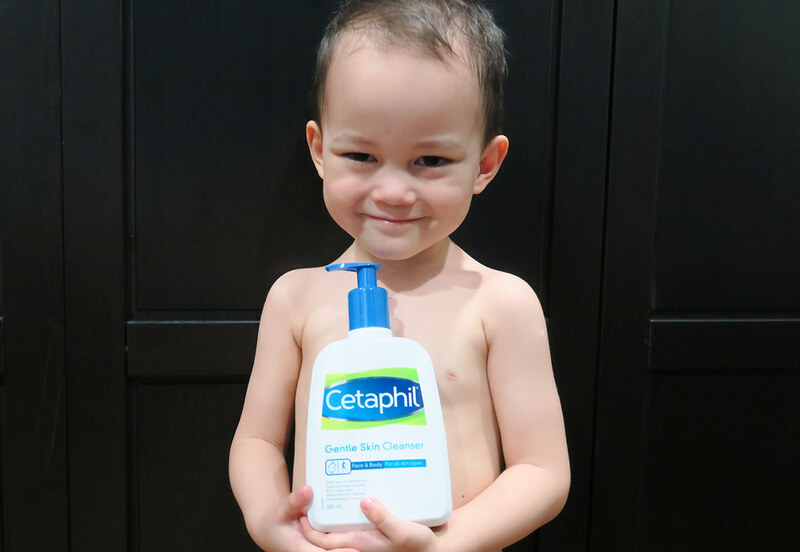 When Liam was born, we knew straightaway what kind of cleanser we were going to get for his daily baths – Cetaphil Gentle Skin Cleanser. 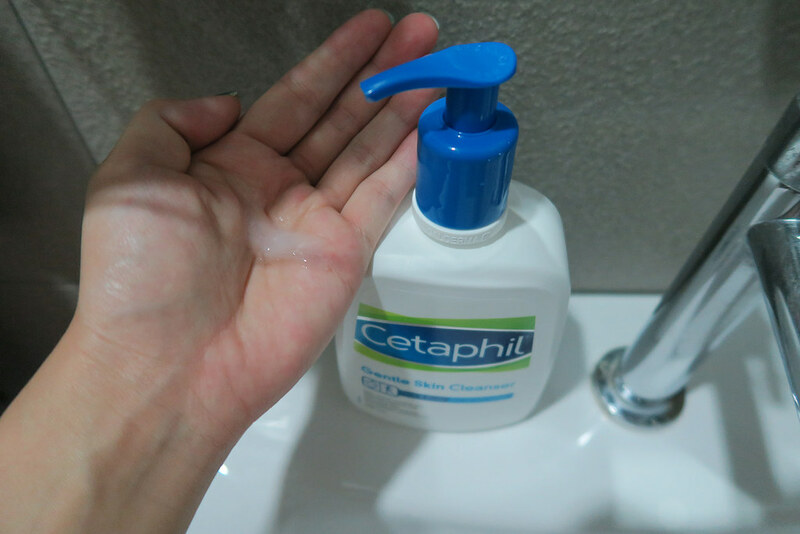 # – Cetaphil Gentle Skin Cleanser. This is because even before Liam, I was already using the Gentle Skin Cleanser and I absolutely LOVE it! Its soap-free formulation is cleansing, calming and very comforting to the skin. Since it’s fragrance-free, it doesn’t clog pores and is suitable for all skin types…even very sensitive skin such as a baby’s. Even Liam’s paediatrician recommended it! # – Liam’s favourite too. He loves the pump bottle design and always insist on helping me dispense the cleanser during his showers. 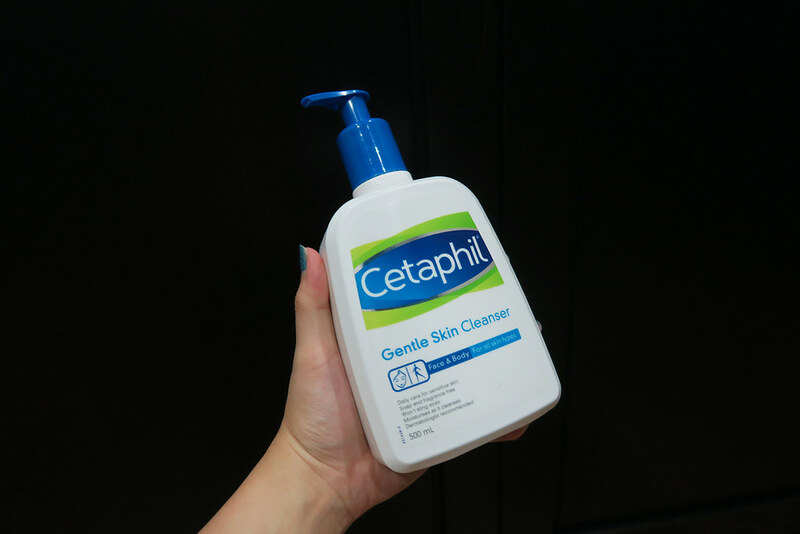 True to its name, the Cetaphil Gentle Skin Cleanser is that gentle that it can be used on the face and it’s my go-to cleanser after make-up removal. All you need is a little pump for the face and a couple more for the body. # – A little bit goes a long way. I also absolutely adore its Moisturizing Cream! Definitely one of the most effectively moisturising creams I’ve ever used. 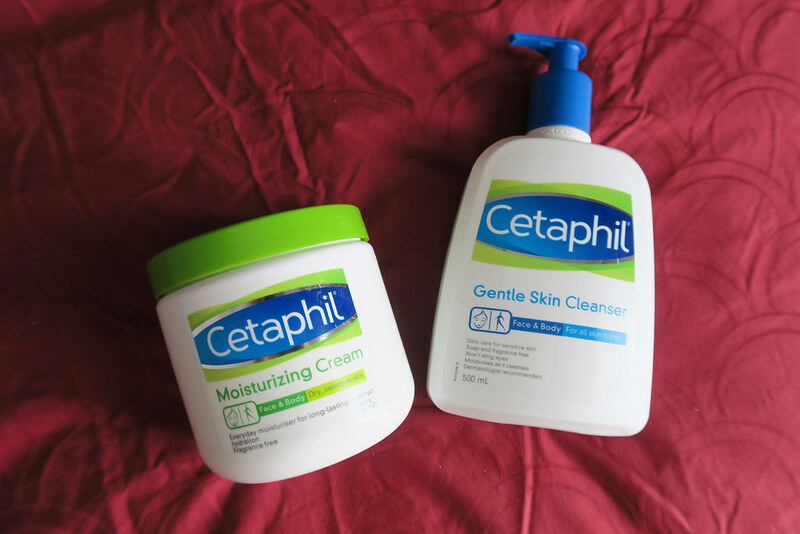 I’m a stay-at-home mum so my hands are always in contact with water and Cetaphil Moisturizing Cream definitely helps keep my hands soft and supple. Just apply a little dollop to the hands after washing and drying…voila, luxurious, supple palms and fingers. 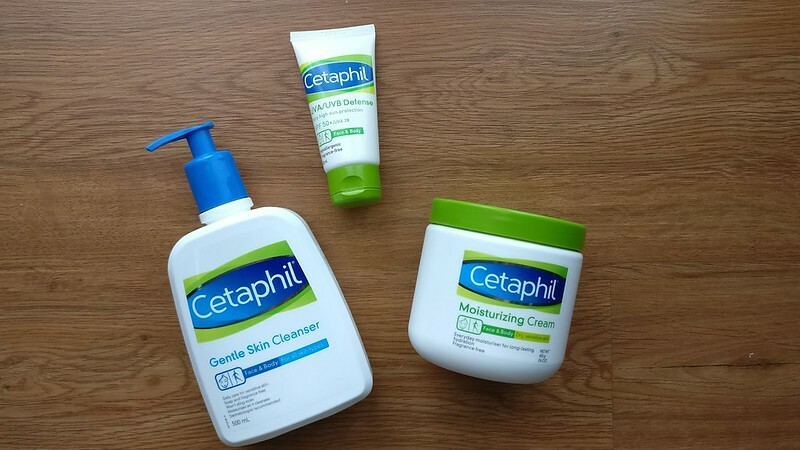 # – Cetaphil Moisturizing Cream. Don’t forget the elbows and legs, of course. I love how quickly it absorbs onto the skin, leaving my skin supple, smooth but not greasy. With extra-strength emollients and humectants, the Cetaphil Moisturizing Cream binds water to the skin and prevents moisture loss. # – Byebye scaly, dry pins. It contains sweet almond oil so it has this very pleasant Amaretto-ish smell despite being fragrance-free. Unsurprisingly, it’s suitable for all skin types so you don’t have to worry about a thing. Last but not least, I highly recommend Cetaphil’s UVA/UVB Defense – a very high sun protection lotion with SPF 50+/UVA 28. You can use it on both face and body but I use it mainly on my face. At my age, I can’t afford to get sun spots so this is my must-have product. Best of all, it’s fragrance-free and hypoallergenic. I put a layer of the Cetaphil’s UVA/UVB Defense on my face after my regular cleansing and moisturising steps. # – I love how light it feels on the skin and that it doesn’t leave a chalky residue on the skin after application. I am pleased that Cetaphil not only completes my skincare routine but it’s also suitable for my entire family. Whether it’s Liam’s delicate young skin, my husband’s manly hide or my 33 going on 16 (ahem) face, Cetaphil works for all of us. 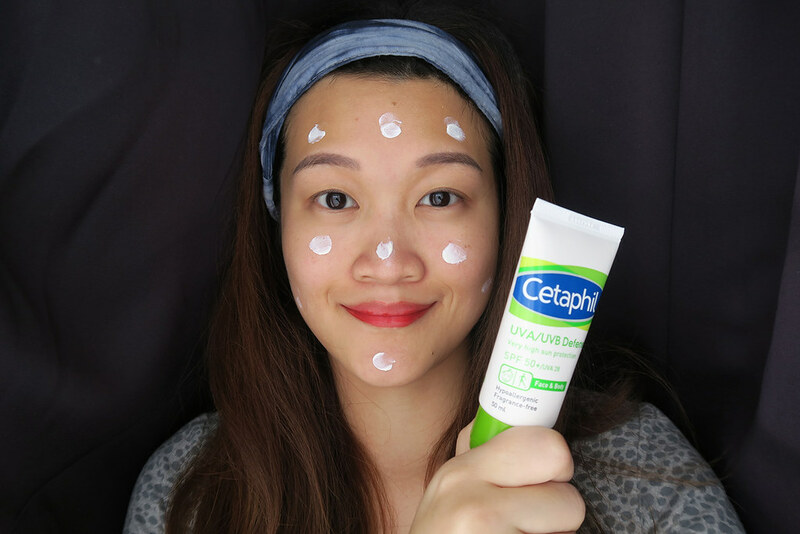 Here’s to healthier and lovelier skin with Cetaphil. One year has passed since you both left me. It’s interesting how I perceive the memory of what happened to us. Remembering, at times feel really foreign, as though it’s just one of the dozens of sad stories of strangers I read on the Internet everyday. There’s a fleeting sadness but I feel hardly any attachment. But sometimes, sometimes I feel like everything happened only yesterday. It feels so fresh and raw. My chest would tighten and tears would start flowing freely. This often happen in the middle of the night while I am in bed, when it’s dark, quiet and all I could hear are my own thoughts and your dad’s breathing. Well-meaning people tell me that I am still young and that I can give birth again. True, but telling me that does not comfort me. Not in the least. What it sounds to me when they say that is, you both didn’t matter. But you both mattered, so much and you still matter to me. Despite your untimely departure, you have made me a better person. I take care of myself better now, and because of that I am a better mummy to your brother, a better wife to your dad (at least I think so). I may still be reduced to a blubbering mess sometimes but it comes with the territory. My loves, before this, I used to believe that when people die, they just become extinguished. Finished. That there’s no heaven or hell, no afterlife. The only things left were just memories when somebody dies. However, guess what, I couldn’t reconcile my belief with your deaths, especially when we never even got to make any memory together. What was I to do? In desperation, your mummy went to see, wait for it…..a tarot card reader! Hoping to make contact with you guys and all that. Well, of course it was a colossal waste of money but it gave me a taste of comfort I had not tasted for a while since you both left. That encounter made me realise that I needed something in my life, nope, not cake……spirituality! Long story short, say hello to your new crystal-admiring-sage-burning-mummy-formerly-known-as-the-nihilist. I also have an app called Angel Energy Cards on my phone that I may be using a bit too much. My dearest babies, what a year you had given me. Because of you, I’ve experienced turmoil like nothing I could ever have imagined. Also because of you, I have experienced true joy. The kind of joy that expands my heart and fills me with a sense of contentment, just from something as simple as seeing your brother conquering his fear of coming down a slide. Or seeing your dad walk through the door, sweaty and panting after a night run. Thank you for teaching me how to tell the difference between stupid, frivolous things and the important ones. You both have given me the greatest present of all, the gift of clarity. Thank you my babies. I love you forever and always. Cancer. A 6-letter word that nobody ever wishes to hear from their doctor. Unfortunately, the reality is that everyone of us knows someone who has or had cancer. We’ve even lost friends and family to this dreaded C.
Despite the prevalence of the disease, most of us don’t really know much about the disease itself. 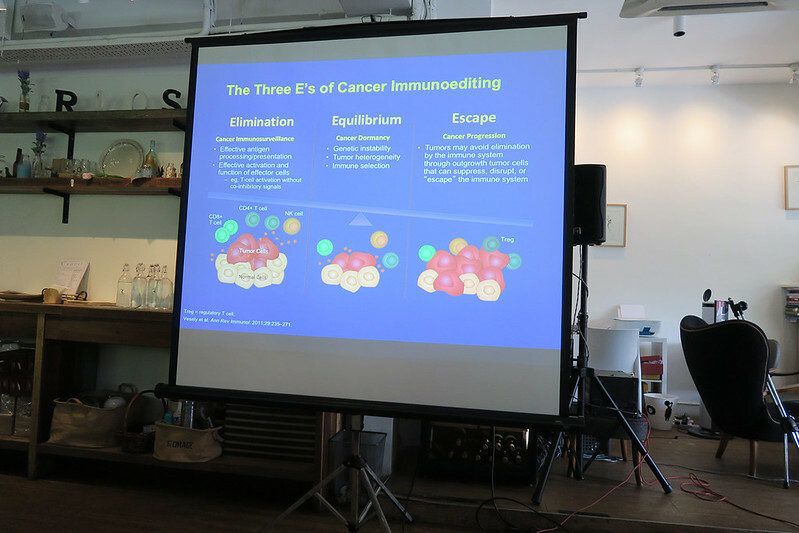 Perhaps ignorance is bliss but after attending a blogger workshop on lung cancer & melanoma recently, I’ve come to realise that it’s very important to be educated about cancer treatment options – especially immunotherapy. Immunotherapy is a new treatment option for lung cancer and melanoma. Do you know that 10 Malaysians die from lung cancer, every single day? The mortality rate for lung cancer is also scarily high, more than 80%. However, now with immunotherapy, lung cancer patients have far better shots at living. So what is immunotherapy? How does it work? 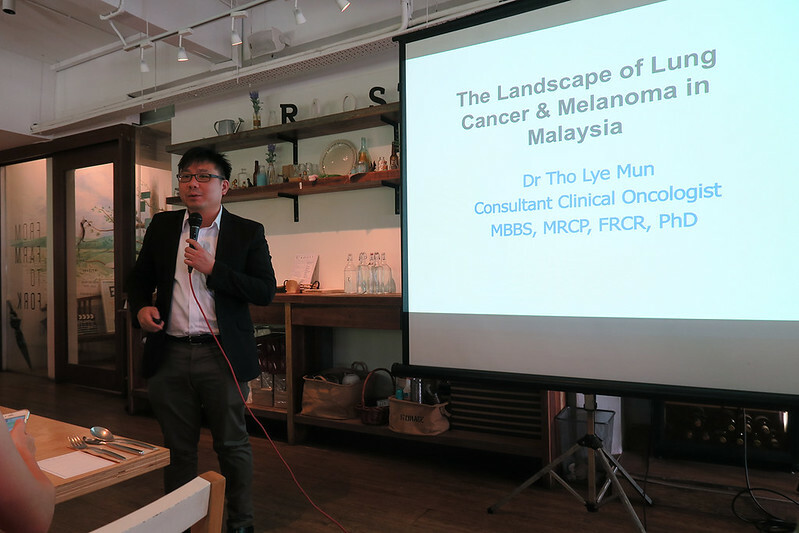 Dr. Tho Lye Mun gave us a comprehensive but simple-to-understand presentation on the treatment at the blogger workshop. It is a treatment that uses certain parts of a person’s immune system to fight cancer without the dreadful side effects that we all know of from other conventional cancer treatments. With lesser and milder side effects (they are only about as bad as regular flu symptoms), patients are able to lead better quality lives. Unlike conventional treatments, immunotherapy also does not damage healthy cells, so the rate of infections will definitely be lower, hence the potential for also extending long-term survival. 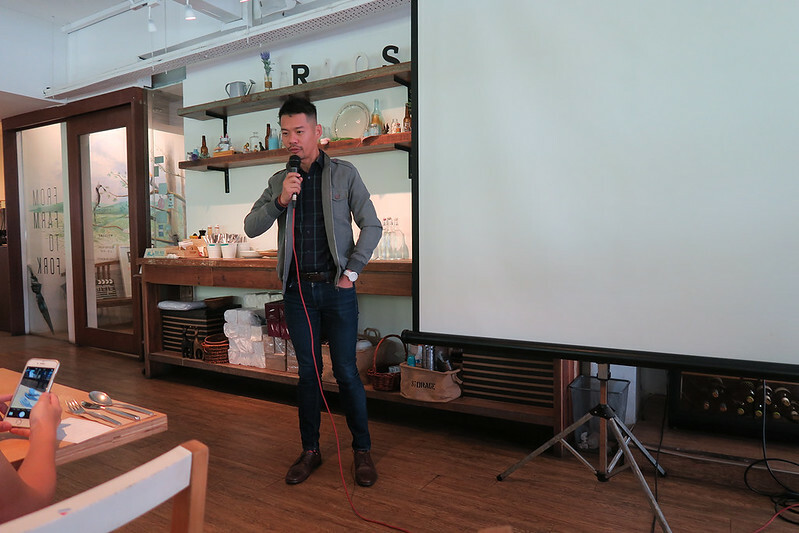 Listening to Niki Cheong who shared his personal stories of losing friends and family to cancer at the workshop was really heart-breaking. I was very young when my grandfather passed away from cancer so I didn’t feel much but as an adult now I can imagine the anguish. To watch somebody you love slowly being chipped away by the damn cancer. Early detection is the key, of course and often survival rate from cancer is a lot higher with early detection. That said, not many are lucky to catch it early on. Consider this, 9 out of 10 patients are diagnosed with advanced stage lung cancer. It’s heart-breaking. After I posted about my experience at the lung cancer workshop on Facebook, I reconnected with a former college-mate, Sharizan. She revealed to me that she’s suffering from lung cancer that has metastasised to her brain. 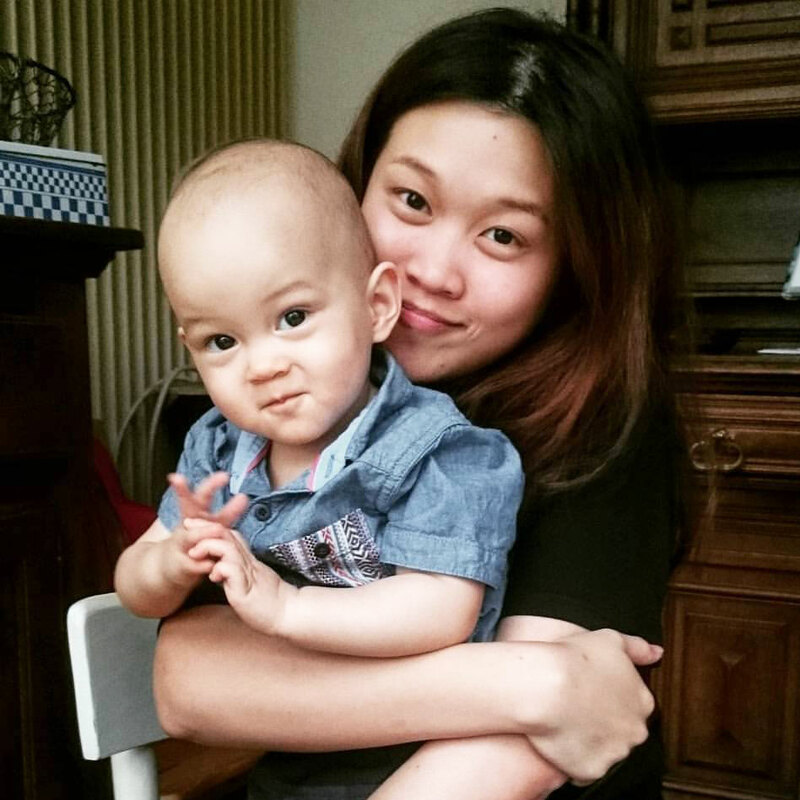 When I found out she was undergoing immunotherapy, I was relieved for her as I reckoned she’d have much better chance at survival with immunotherapy. She too attested to the effectiveness of the treatment. It’s given her a better quality of time and a renewed sense of hope that she may have a chance at survival. However, when she told me about the costs, I was shocked. It’s not cheap and she had already exhausted her insurance, so she was going to stop her treatment and seek help at government institutions with conventional treatment aka chemotherapy. After learning what I’ve learned from the blogger workshop, I was crushed by her news. I understand why immunotherapy is expensive – it’s the years and millions and millions of dollars invested into the research of this life-changing treatment. So ladies and gentlemen, if you’re reading this, do check your insurance policies. Personally, after listening to Sha, I have contacted my insurance agent and updated my policy to increase my annual limit to accommodate inflation and the high cost of current hospital treatments. I had already forgotten what I was entitled to in my insurance policy so I was very surprised to learn that the policy I got 5 years ago, which was pretty comprehensive back then, could barely cover a treatment such as immunotherapy now! So yeah, check and upgrade your insurance policies guys! 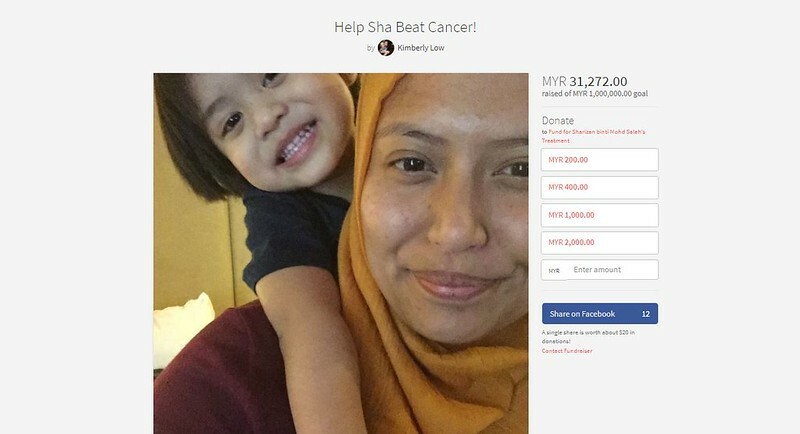 As for Sharizan, we are raising funds for her immunotherapy treatments at GIVE.asia. You can also read about her plight at the website. Please do help give my friend a shot at life, thank you! Anyway, I digressed. My point is, get educated about cancer. Learn about its treatments! Don’t get caught off-guard. Cancer affects everybody, not just the patients and you’re better off with some good knowledge in hand.